Time to learn a new name: Bill Veghte. 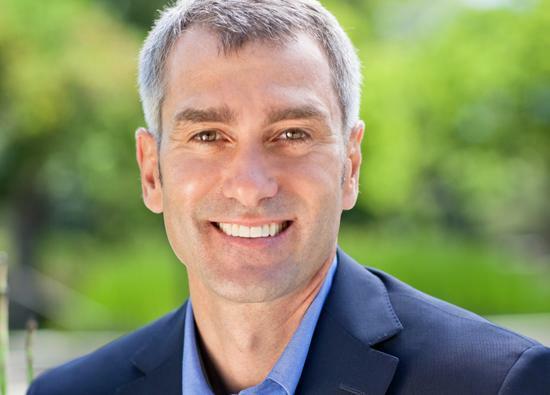 Before today Mr. Veghte was HP Executive Vice President of HP Software, today he's still that, but he's also HP's new Chief Strategy Officer, replacing the retired Shane Robison's position. In his new role, Veghte will "work with HP's senior business and technology leaders to help define the IT industry's future and make certain HP continues to lead the way." Pretty vague stuff, but it ties in pretty well with his EVP of Software title. In addition to being CSO, Veghte will also be taking the lead on HP's Cloud and webOS open source initiatives (both left over from the Office of Strategy and Technology). With respect to webOS, Veghte's role was described in an email from CEO Meg Whitman HP staff as one that will "work closely with Ari [Jaaksi, head of webOS development] and his team on the future of webOS." Whitman also noted that she believes that webOS "will fundamentally change the market" if HP "enables it in the right way." Here's hoping that Bill Veghte is the man to get the job done - he brings 20 years of software development at Microsoft (leading Windows 98, CE 3.0, Server 2003, and Windows 7 development, among other things). But open source? That's an entirely different beast. HP today announced that Bill Veghte has been appointed chief strategy officer. In addition to his new responsibilities, Veghte will continue in his current role as executive vice president of HP Software. As chief strategy officer, Veghte will be responsible for keeping HP on the cutting edge of innovation. He will work with HP’s senior business and technology leaders to help define the IT industry’s future and make certain HP continues to lead the way. Veghte’s new role reaffirms HP’s commitment to providing customers with the latest platforms, products and services needed for success in a rapidly changing world. In addition to helping drive strategy for the company as a whole, Veghte will lead HP’s cloud and webOS open source initiatives. Veghte joined HP in 2010. In the most recent fiscal year, he grew HP’s software business by 18 percent. Prior to HP, he spent two decades at Microsoft in a variety of senior leadership positions. Most recently, he managed the company’s $15 billion global Windows® business and was instrumental in the delivery and launch of Windows 7.